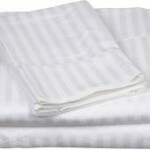 What About Wicking Sheets for Hot Flashes? With chemotherapy comes menopause whether you are near that age or not. And, along with menopause, come hot flashes and night sweats. Very uncomfortable. There are wonderful fabrics out there now that wick away sweat so you don’t have that clammy feeling after the hot flash. The sportswear industry picked them up first, but with the advent of so many women going through menopause, wicking fabrics are used for lovely nightwear. 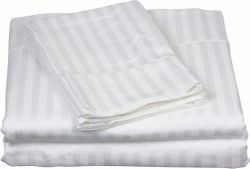 Although the wicking fabric works well for your nightwear, having sheets and pillowcases that also wick sweat gives one an added level of comfort. Then consider not only sheets, but also pillowcases, mattress pads and blankets. Whatever promotes a good night’s sleep is worth it’s weight in gold. Sleep is an important aspect of healing. Being awakened many times in the night with hot flashes disturbs sleep and impairs the body’s ability to heal. Sleep Better Tonight With Cool-jams Wicking Sleepwear For Night Sweats. Free Shipping.